Mountain Madness is a multi-sport relay race made up of teams of five that starts with a downhill ski leg from the top of Mt. Norquay. The race then works its way down to the Bow River via run, ice skate, classic cross-country ski and snowshoe segments. Much of the action takes place on the frozen Bow River, where friends and fans cheer on the athletes of all ages and skill levels. But it's not just about racing. 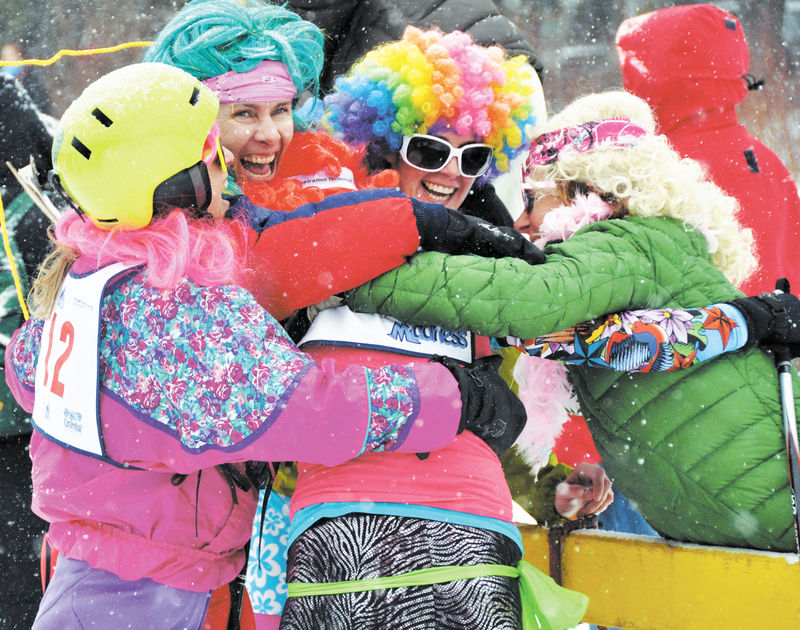 Teams try to out-do each other with wacky team names, themes and costumes. Prizes for best costumes! The 2019 Mountain Madness race was held on January 25.
resource protection and public safety services offered by Parks Canada staff. Order your park pass online.